I’ve taken an extended break from blogging, but am ready to get back up and going. We’ve got some fun new things planned here, but as we get ready to introduce them, I wanted to share something that has changed my life in the past few months. Juicing. My friend and business partner Gigi introduced to a documentary on Netflix called Fat, Sick and Nearly Dead. If you haven’t seen it, you should. It may change your life for the good, like it did mine. In a nutshell, it’s a about a guy named Joe Cross who really was fat, sick and nearly dead – well not maybe nearly dead, but eventually he would have been dead. Like Joe, I had low energy and needed to lose weight. In fact I was diagnosed with pre-diabetes a few years ago. I never lost the weight after giving birth to three kids and have desperately tried to lose weight over the years. You name the diet, I’ve probably tried it. I’ve lost weight, gained weight, gained more weight and lost a little again. It was an evil, vicious cycle and none of it made me healthy or thin. Here’s a link to watch it for free – Click here. The documentary really hit home, but the thought of juicing really didn’t appeal to me. I mean, I don’t even really LIKE vegetables and you just can’t do fruit juices all day – that’s not good either. But, Gigi made me try one (she’s pushy like that!) and guess what? It was actually really good and I decided to get myself a Jack Lalanne which is the most reasonably priced ($99.00) and reliable juicer I’ve found and perfect for a newbie. It’s up to you if you want to try juicing, but you know me, I love to share a good thing and this is a GREAT thing – guaranteed to make you feel better. For me, losing 50 lbs so far (yay!) was a bonus. I actually feel really, really good for the first time in a really long time. In fact, I had forgotten how “good” feels and realized how bad I really did feel. Crazy. Here are some tips and information I found along the way that may save you a lot of digging on your journey to feeling better! These are a mix of my opinions information that was helpful to me. As always, check with your health physician if you have any concerns. Just consider me a friend sharing information with a new friend! I’m not a doctor or even a nutritionist and will give credit along the way of where I found particular information. If you see I missed credit somewhere, let me know and I will correct it! The answer is really simple. It makes me feel good, I’ve lost weight, gained energy, my skin is clear and feel better than I have in a lot of years. The end. I started with Jack LaLanne’s Power Juicer Deluxe – $89.00 if bought at the store from Costco – it comes with a recipe book, although honestly, I’ve never looked at the book. It’s a basic model and works well. I don’t think it’s on-line anymore through Costco, but the stores should have it. You can also find other versions on Amazon and at Bed, Bath and Beyond. Now that I have been juicing 3-4 times a day for a few months, two of my kids decided to start juicing too – they’re 23 and 25. My daughter took my Jack Lalanne and my son bought one too, so I moved up to the $149.99 model from Breville. I have to say I adore it. If you can swing an extra $50.00, do it! It just has a little more giddy-up-and-go. You can often get a discount if you shop through the ReBoot site. By the way, I am writing all of this on my own and not being paid to promote anything or anyone – juicing is just something I’ve become passionate about! For fruit, I find that almost anything tastes good together, as long as you peel the oranges! If you don’t peel your oranges it will be very bitter! For vegetables, it’s all about the recipe. It’s about using the right amount/combination and finding things that work for you. 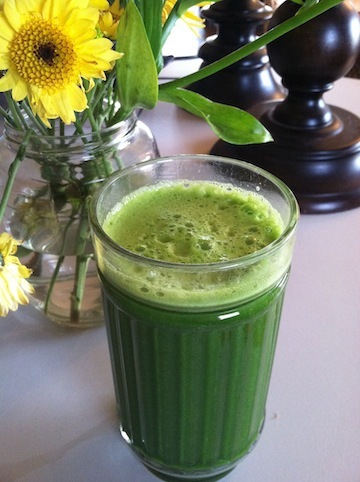 I have tried lots of different combinations, but really stick to my two favorites – Classic Green with spinach, kale, cucumber, celery, green apple and ginger or a Carrot Juice with Carrots, apple and Ginger. Sometimes I’ll add 1/2 a sweet potato as well! Yum. Quick tips: use flavor items such as ginger, lemon or lime lightly in the beginning. For example ginger – start with a piece the size of your finger tip, lemons – cut original amount in half and lime – start with a quarter of what the recipe calls for until you know what you like and don’t like. Also, start with a basic recipe such as a green drink. I try to mix it up with some different recipes each week, but always fall back on my two favs mentioned above. I found that I needed a go-to sheet of basic recipes, so I put the recipes from Join the Reboot into a word document, printed and put into clear sleeves to keep them dry when juicing. It worked perfect for me, so here’s a link to a PDF of JuicingRecipes to print for yourself if you would like! NOTE: That was a few months back and before their website redesign – it’s actually quite nice to access now with lots of new recipes, so make sure to check them out! New recipes from Join the Reboot They are still working some kinks out, but the website is an amazing source of information! In the perfect world where I had unlimited funds and lived next to a whole foods, I would buy all organic. Unfortunately, neither is a reality, but that isn’t going to stop me from juicing. I have explored my neighborhood and have found the stores that have the best prices and freshest produce. Deals may vary in stores in week. I aim for organic, but if it’s too pricey or not available, I wash them extra carefully. My daughter bought me an 0x0 salad spinner and I really like it. I do think it helps to clean lettuce and grapes a little better. I take the skin off of cucumbers since they sometimes have a waxy film – occasionally, apples are waxy too, but the truth is I am not going to peel my apples. I don’t have time for that. Don’t judge me. In the summer (I live in the mid-west) I am going to explore some local markets with fresh produce which I hope will be pesticide free, fresher and less expensive. I’ll let you know how that works out in a few months! I find I need to shop about every 3-4 days. I shop on the weekend for the main things and then head back to the store on Wednesday or so for fillers. Do NOT over buy – it’s easy to do in the beginning. Choose a few recipes and start with the ingredients for those. The last thing you want to do is have food go to waste and it will go to waste if you buy too much. I get a lot of my fruit and some veggies at SAM’s, but don’t alway’s assume they have the best deal. Wal-Mart often has a good deals, but their shelf life is not always as long. We also have a Meijer’s and find their selection and prices good as well. I need to check out the Krogers in our area, but just haven’t done it yet. Confession: I admit I hadn’t a clue as to the types of veggies that were out there. Fennel? Kale? Who knew they existed or that I would be buying these things? If you need help figuring out what the heck these and other things are, here is a great resource – Farm Fresh to You. I actually had to google what things looked like the first couple of times I shopped! Ever wonder why some things go bad in your refrigerator so fast? Read this.. Why Fresh Produce Goes Bad I can’t say I follow it all, but it is helpful to know. I had a problem with things freezing, so I added an inexpensive thermometer to regulate the temperature in my freezer and fridge which really helped. You are supposed to drink fresh juice right away to get all the nutritional value, but of course that is not practical for all of us. On a work day, I will make a fresh juice before I leave to drink immediately and then I will take a double recipe of a veggie juice and store it in two ball jars. I take it to the office in a little cooler and it still tastes good! I think the secret is to fill it to the top so there is very little oxygen inside. I don’t like fruit juices stored over night, although my husband doesn’t mind it. Bottom line, drink fresh if possible, but if not, figure out what works for you! I found an AMAZING shopping list for fruits and vegetables on-line, but for the life of me cannot find the source to credit. a link to it was originally posted in the reboot forums, but I can’t find it anymore. You can print out multiple copies of this Juicing Shopping List and check off the items you need to buy for specific recipes. It’s a great help when starting out! P.S. Once you get the swing of it, shopping will be a breeze! 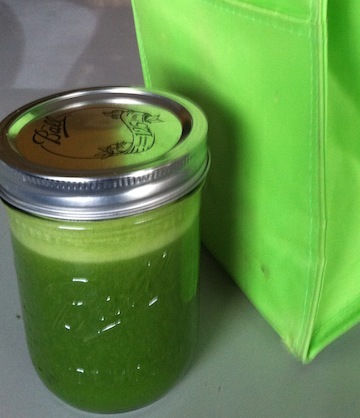 I suggest you start juicing a few times a day to get started. 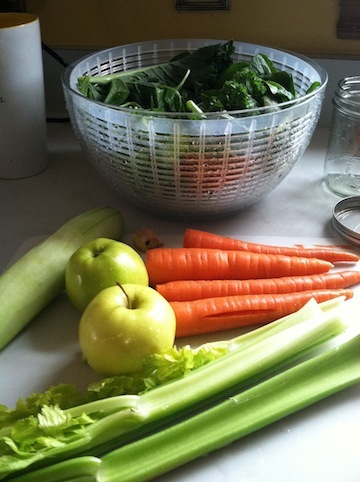 Clean your juicer out ASAP and it will be easy peasy to clean. I often just rinse and use a brush so I get a build up of soap residue. Also, if you don’t use fabric shopping bags, use a plastic produce baggie to line the pulp container – that saves a step of clean-up! Right now I am doing a Fruit Juice in the morning and 3 or 4 vegetable juices throughout the day. I will typically have a light meal or bowl of soup for dinner. I am going to go back to a Juice Fast in a few weeks which for me really helps me not only feel good, but helps me to continue to lose weight. The thing is to not do it cold turkey. I took a week to prepare via The Classic ReBoot of Joe’s which really helped me to prepare. As a result the cravings weren’t bad and I didn’t have any headaches from caffeine withdraw. Note: I was a 6-8 cup a day coffee drinker a few months ago and now I only drink herbal tea (caffeine free). 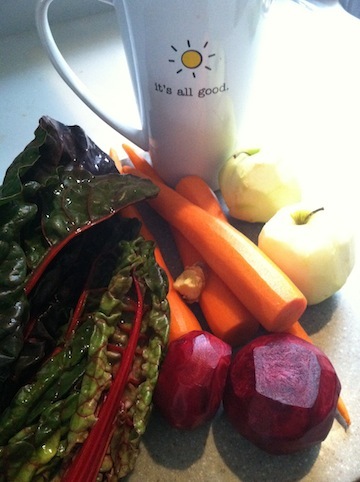 I don’t miss the caffeine at all – I know that’s hard to believe, but with juicing, I don’t need a pick-me-up anymore.